Hard to find NEW CONSTRUCTION and READY NOW in the beautiful established Rotherwood community sits on a Gorgeous homesite with trees and spacious backyard. Craftsman style exterior w/ Hardie Plank lap siding and shake with Stone. This 5 Bedroom with Bonus (or 6 Bedrooms), 3 Full Bath featuring 5th Bedroom on the Main Level is loaded with great space. On the Main Level you will love the Open and Bright kitchen w/ White cabinets and Grey Island, Granite and Stainless Steel appliances including a Gas Stove. Relax in the family room w/ Gas Fireplace featuring Stone surround below mantle and Shiplap Above Mantle. A Formal Dining for entertaining & Living Room/Study. The second level boast spacious rooms including 4 Bedrooms, Bonus Room and Laundry Room. Please, send me more information on this property: MLS# 1054750 – $495,000 – 7019 Nubbin Ridge Drive, Knoxville, TN 37919. 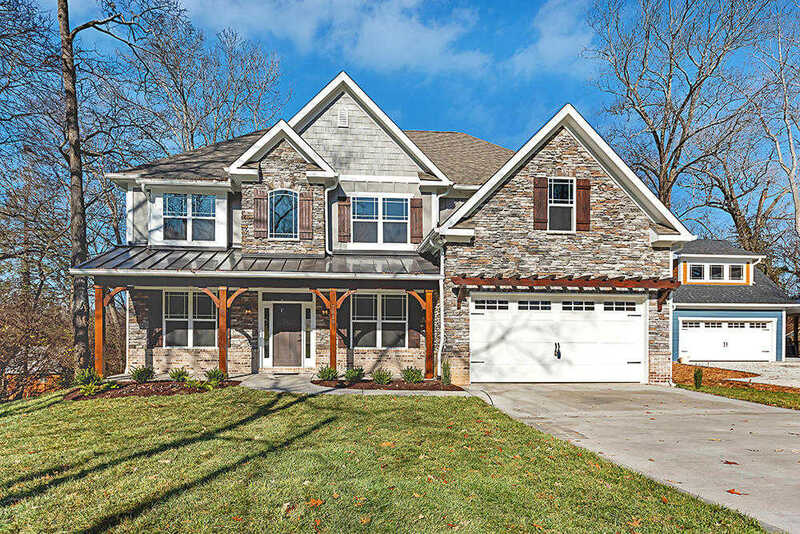 I would like to schedule a private showing for this property: MLS# 1054750 – $495,000 – 7019 Nubbin Ridge Drive, Knoxville, TN 37919.